Dr. Shamil Yenikeyeff is a Research Fellow at the Oxford Institute for Energy Studies and Senior Associate Member at the Russian and Eurasian Studies Centre, St Antony's College, University of Oxford, UK. He is the author of The Battle for Russian Oil: Corporations, Regions, and the State, a forthcoming book on the politics of the Russian oil sector to be published by Oxford University Press in 2012. 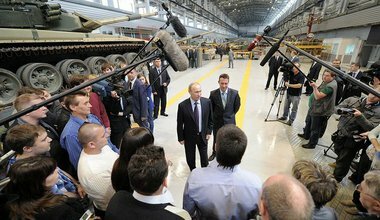 Big business under threat in Putin’s Russia?